I recently bought a car! Yay me! 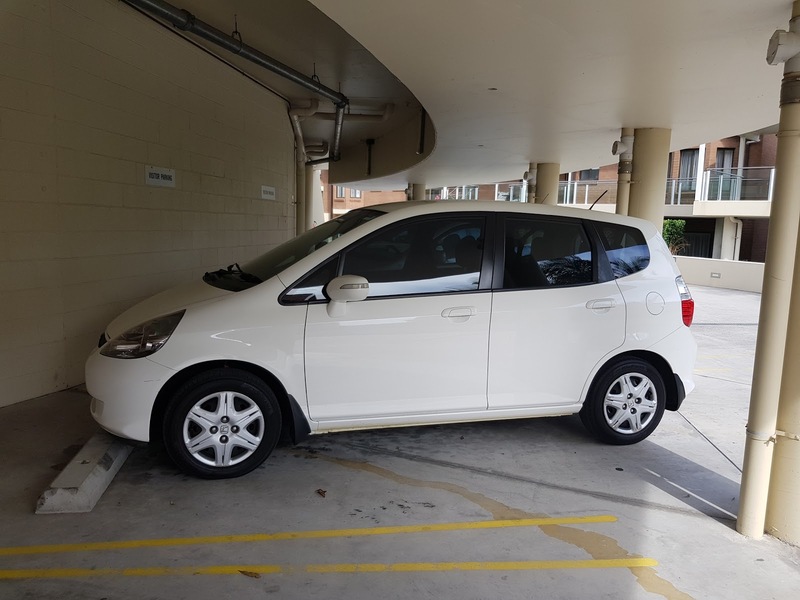 It's a second hand 2008 Honda Jazz VTi Manual. I bought the car via Carsales from a lovely lady based in Thornleigh. And dragged Patrick from work along with me to test drive the car. (Thanks Patrick... esp since we were stuck in traffic for such a long time!) It's my first car in a long time as usually the car ends up in W's name and I don't actually enjoy driving so... it's really not my call as to what car to get. But I was happy with my purchase. It put me back $6200 (was listed at $6500). I'm sure I could have probably gone down to $6000 but I don't like bargaining when it's for the sake of it. The car however didn't have things like reverse sensors or Bluetooth for hands free calling. So I could get both of those things installed or go the whole hog and get something a bit fancy. I had been spoiled as I was driving my mum's Mazda 2 with all the bells and whistles which had a heads up display, nav, reversing camera and more. After investigation I thought to get myself an Android Head Unit. All in the installation and the bits including head unit was less than $600. Breakdown below with suppliers detailed. This is what it looks like after being installed. Looks and works great! I like the fact it had a CD slot although I haven't listened to a CD for years. And years. And years. So to make a 2 din (ie takes up 2 standard stereo units of space) work it needed a fascia. Then I found out that I would also need a wiring harness. I also wanted to include a reversing camera. So shopping was required. Joying Android Head Unit (Quad Core, 2GB and Android 6.0) at $283.66 - link to the product on Aliexpress. Reverse Camera via Aliexpress at $12.85 - link to the product on Aliexpress. 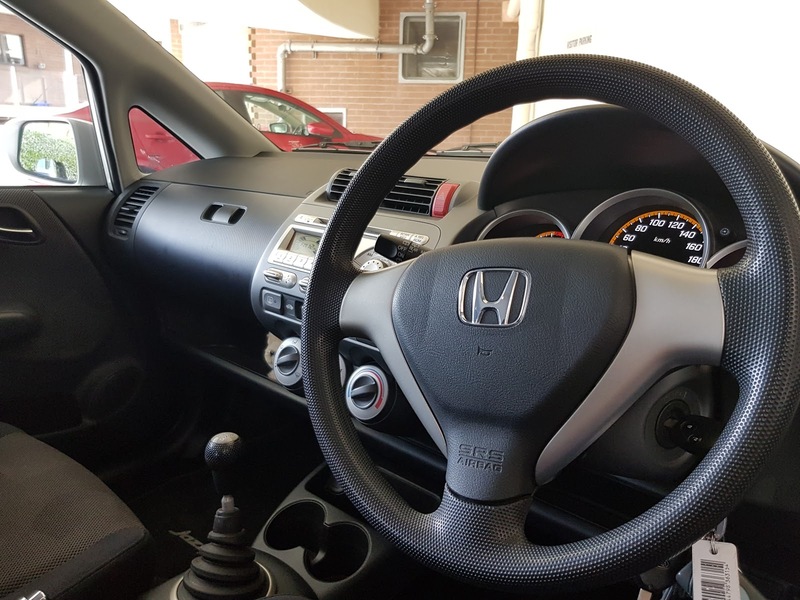 Fascia / Trim Kit for Honda Jazz GD RHD at $51.12 - link to the product on Aliexpress. Cables/Harness Kits totalling $35.99 via eBay. I got the following items 1. Car Side Iso Connection Harness Wiring Loom, 2. Antenna Adapter To Suit Honda Jazz (Fit) Gd 2002 - 2008, 3. Head Unit Car Stereo Iso Loom Connection Harness. I used link to the seller on eBay. 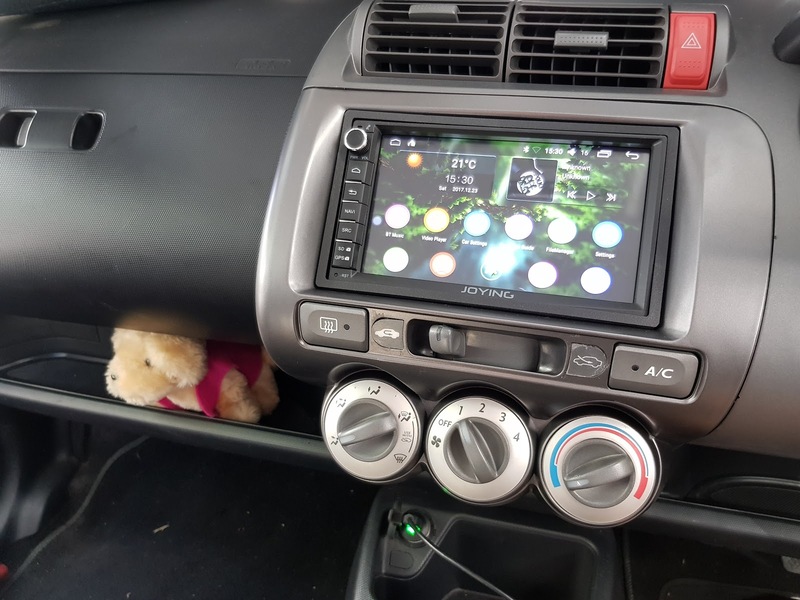 Installation was $200 - link to the service on Gumtree. Note the prices I listed above are what I paid (late 2017). YMMV as they are often affected by exchange rates or discounts I may have received. And how did I know what cables to order? A lot of googling and reading and watching YouTube. But to save you some trouble I listed what I needed above. If you happen to have and want the same setup :) If you have a different model / make car I am sure you can just use the same terms and your make/model. Anthony came and installed my unit after I contacted him on the 22nd... he was ready to install it at the pre-quoted price of $200 the following day! Booyah! He did a great job. None of the bits I got included any additional stickers (except an NFC one which wasn't installed). But it meant all the old stickers needed to be reused. I didn't think it was going to be a problem as all the dials etc stay the same but I assume it was because they need to be removed and readded back... so can get damaged in the meantime. The only thing that doesn't work quite as expected is my air cond LED no longer lights up. 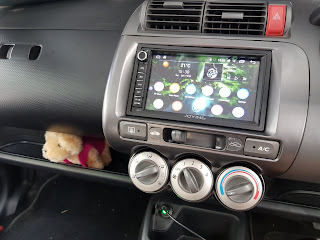 Just a note about navigation or the head unit and components themselves. The reverse camera works a treat and is quick to bring up. I thought I'd mention it as my neighbour who I demo'd it to was surprised at how quick it was as he had an aftermarket reverse camera installed and he thinks it takes 20 seconds to come up! I also have the reverse green, amber, red zones. This was demo'd to me after the installation was done so I realised how close the red zone is. Basically I can never use the red zone! The installer reckons the camera is a really good one. Great $12.85 spent I say! I chose this one over the blocky square ones that looked like they could fall off too easily. There are a lot of options on Aliexpress... so I'd suggest reading the descriptions and reviews. As for the navigation itself that was also something the installation guy was impressed with. It's the iGo app. When I first drove off there were all these strange beeps that would come up and the volume levels for music vs navigation were all over the place. And the onscreen display didn't have all the things I wanted. But over the last few days I've tailored the settings to suit. The beeps were warnings. Warnings about 40km speed zones (don't get me started on speed zone data!! *grrrrrr*), warnings about red light cameras and speed cameras. To stop the beeping I just need to tap the screen on the warning. It's pretty good. Also it warns me when I'm speeding. And it's obvious. It actually says "You are over the speed limit". It's quite sensitive too. 3-4kms over and it triggers it! I've been using the radio (thank goodness I got the radio antenna thing!) a lot. Bluetooth music works but seems flakey but it could be just due to some other notification that is happening on my phone. I also transferred some music to the Head unit via a USB key. That works OK but for now I think I'll use the radio. It's my dose of reality. Or "reality". So for less than A$600 do I think it's worth it? Yep! Approx 10% value of the car but well worth the cost to have in car nav and handsfree phone calling! I've yet to work out if things like notifications work or anything else but I'm happy with what I've seen so far.